Having spent my first week on the new for me 4 m band it might be a good time to sum up my first experiences. As anticipated the band is very interesting. 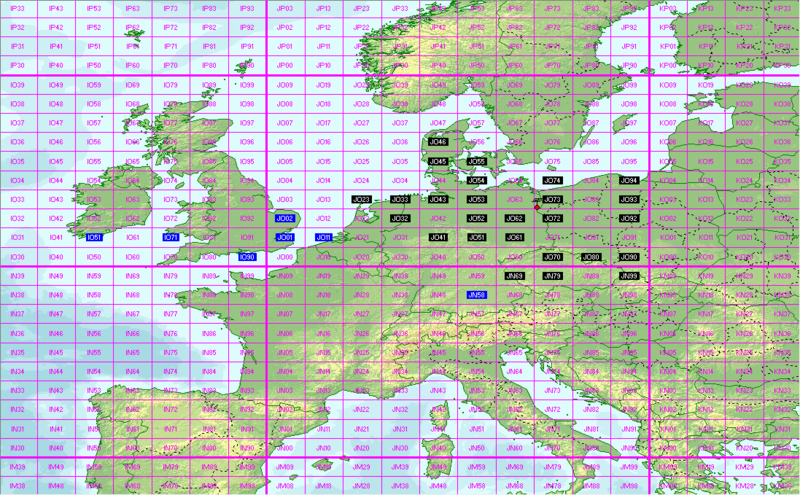 Despite running QRP only into a small 5 ele Yagi tropo QSOs up to 550 km seem to be no problem although most of the time with very deep and long QSB. Depending on whom you work CW is quite doable while with others you have to do digital modes, i.e. 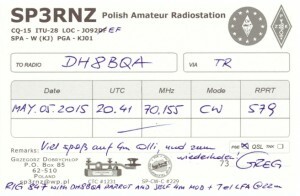 JT65, to gain a few more dB’s. Also Meteor Scatter is surprisingly easy! Reflections are a bit longer than on 2 m and although higher in frequency I don’t see much difference in comparison to 6 m. But it seems on 70 MHz it can all be done with a lot less ERP than on 2 m.
This entry was posted in Meteor Scatter, Propagation, QSLs, Tropo, VHF. Bookmark the permalink.